I am very new to the world of Disney obsession. My first Disney experience was just a few months ago when I had the opportunity to visit Disneyland in California. I was hooked immediately though and quickly started organizing a return visit the weekend before Christmas. As a planner, Disney is perfect for me since visiting requires some advance preparation, especially during the holidays. From what I’ve been told, this is the time of year when the Disney star shines the brightest and I honestly can’t wait to experience it for myself. Since it has taken a fair amount of work though, I thought I’d share what I’ve done to get ready in case you’re planning your own Christmas celebration at the Happiest Place on Earth. Disclaimer – Nothing I write about in this post is sponsored or paid for. I’m doing this trip entirely on my own and any recommendations are just what I think will work best. Also, it’s all conjecture since I haven’t expected Disneyland during the holidays yet. Don’t worry though, I’ll be writing about the experience afterwards as well. I have to preface this by saying that if given my druthers, visiting the weekend right before Christmas would not be my ideal. I’m finishing up a cruise though in Southern California, and that’s just how the timing worked. Historically, it appears that this is the busiest time of the holiday season and one of the busiest times of the year for the parks, but I’m hoping that it’ll be ok. Disney starts their holiday celebrations quite early, not long after Halloween in early November. Timing varies from year to year, but this longer season provides plenty of opportunity to experience the Disney Christmas magic without the mega-crowds. In an ideal world I would prefer to have visited in the first week or two of December, during the week. It’s still close enough to Christmas to help visitors get in the mood, but hopefully without the massive crowds. Regardless of when you visit though, the special events promise to create an incredible experience. Purely a matter of personal preference, there are many different Anaheim options for just about any budget. If I were independently wealthy, I would have loved to stay at Disney’s Grand Californian Hotel, but it’s just too pricey the weekend before Christmas. Instead, I booked a comfortable looking suite at the nearby Hilton Anaheim. From previous experience, I know that it’s close to the main gates; an easy 15-minute or so walk, which is fine. I’m saving a lot of money by staying at the Hilton, so I’m ok with the short walk. But in and around Disneyland there are dozens of other options from Airbnb to the super luxury hotels. This is where things start to get a little confusing just because of the many options available. On any given day, the food options at Disneyland are considerable. 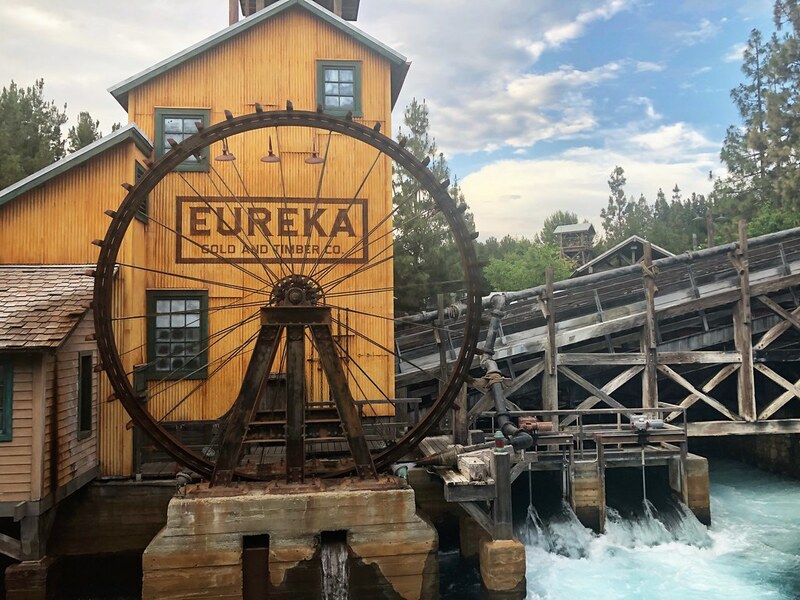 Whether it’s in Disneyland itself or Disney California Adventure or Downtown Disney, the many options mean that you’ll never get tired of trying new things. During the holidays though, Disney rolls out even more choices; special holiday offerings showcasing the best of the season. 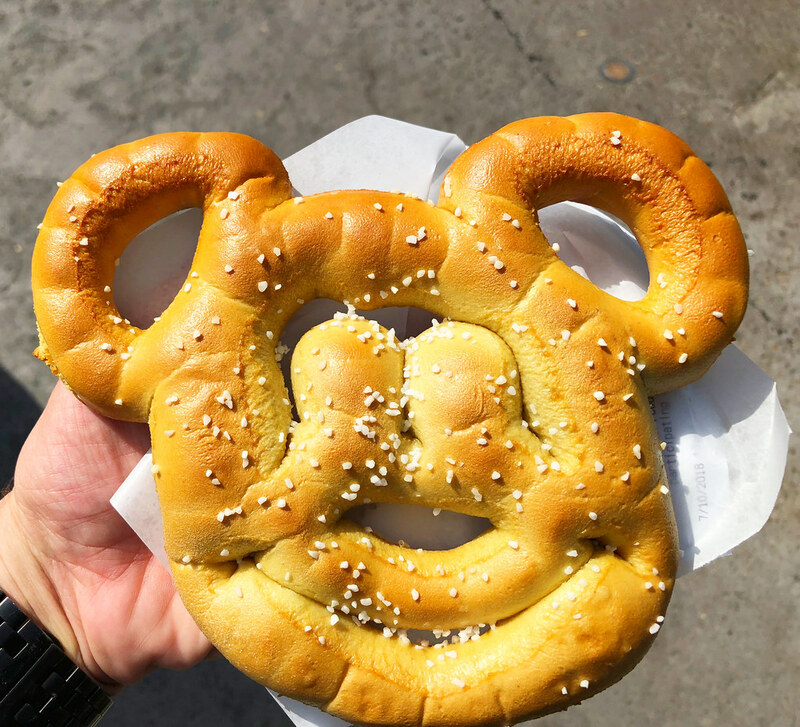 Disney recently released their 2018 food offerings which you can find here, and I instantly began studying it. It may be a little (a lot) Type A, but I’ve sketched out a brief framework of what I want to make sure I don’t miss, especially the Festive Foods Marketplace. One thing to note though is that if you want to eat on-site at a sit-down restaurant, you need to make reservations well in advance. Disney allows for reservations to be made online starting at two months in advance. As soon as that window opened for my own trip, I very quickly booked reservations at the two restaurants I missed the first time. I’m glad I did too because checking back the next day, they were already booked – two months in advance. As if there wasn’t enough to do at Disneyland Resort, during the holiday season there are even more events to be aware of. Not unlike Halloween, several rides and attractions take on a special holiday feel. In Disneyland both the Haunted Mansion and “it’s a small world” have special holiday themes and in California Adventure, Cars Land attractions are also re-imagined for Christmas. Of course the entire resort is elaborately decorated just for the holidays and there are special fireworks and parades redesigned for the season. Additionally for the truly obsessive (like myself), a special “Holiday Time at the Disneyland Resort” Tour is also offered to give curious guests an insider’s look into the Disney holiday magic. I know, it all seems a little daunting and at first it can be. More than anything else though, I just want to have fun – that’s why I’m going in the first place. My first visit a few months ago was nothing short of magical and I desperately want to experience that innocent fun again, just during the Christmas holiday season. I’m still planning of course, and that started early. To save some money, I’m staying off-resort at the Hilton Anaheim, as I mentioned, and I even found a way to save some money on food and souvenirs. I’m a member of a warehouse club (BJs) and they have a special deal on Disney gift cards. For $90 each, I bought a few $100 cards that I can use in the parks. It’s not a huge savings, but at least it’s something. Also, as I mentioned, I’ve booked dinners for the two nights that I’ll be in town to make sure I get to try some of the parks’ most well-known dishes. Other than that, I’m aware of what’s on offer and plan to incorporate it all as organically as possible. I don’t want to plan the fun out of my trip, but I also don’t want to miss anything special. It’s a balancing act for sure, but one I think I can manage. I’m new to the world of Disney, but already I’m a fan. The parks are simply incredible and I can’t wait to see what they’re like during the holiday season.